The most important job for children under 12 is to play. Regular outdoor play makes children smarter, happier, healthier, creative and more self-confident. Schools and community play spaces are where children learn the important skills to make friends now and grow to become good citizens of the world. At PDPlay, we take the business of play very seriously. It is our job as a company and our responsibility as parents to create play spaces that engage children’s minds and bodies so they can reap the intellectual, emotional, social and physical benefits of play. We believe the environment our children play in is as important as the playground. Our playgrounds have been primarily made from environmentally friendly materials for twenty years. We work constantly to optimize our product designs to minimize material waste and reduce our carbon footprint while still providing the highest possible play value. We believe it is not only important to teach children to live in the world, but also love the world. Interaction with the natural world is the most powerful way to teach our children to love the world. Our Outdoor Learning Environments bridge traditional playgrounds and nature, creating a pioneering and fun way for children to fully reap the benefit of outdoor play. 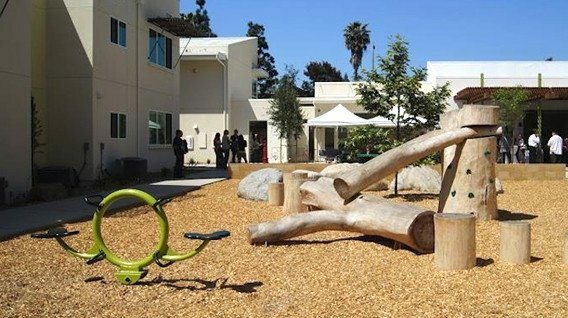 We balance the needs and abilities of all children and design fully inclusive play spaces so that every child can participate in play and reap its rewards. The best play spaces foster discovery and curiosity. They also help kids develop emotionally, physically and mentally. In short, they help our children become happier, healthier and smarter. We believe you will find the building blocks to create this kind of place on the pages of this website.